Banbridge ( ) is a town in County Down, Northern Ireland. It lies on the River Bann and the A1 road and is named after a bridge built over the River Bann in 1712. It is situated in the civil parish of Seapatrick and the historic barony of Iveagh Upper, Upper Half. The town began as a coaching stop on the road from Belfast to Dublin and thrived from Irish linen manufacturing. The town is the headquarters for Banbridge District Council. It had a population of 16,653 people in the 2011 Census. The town owes its success to flax and the linen industry, becoming the principal linen producing district in Ireland by 1772 with a total of 26 bleachgreens along the Bann. By 1820 the town was the centre of the 'Linen Homelands' and its prominence grew when it became a staging post on the mail coach route between Dublin and Belfast. A gift of £500 from the Marquis of Downshire around this time helped to alleviate some problems with the steepness of the road and paid for significant improvements. This industry has now greatly diminished in prominence, but Banbridge still has three of the major producers in Ulster; Weavers, Thomas Ferguson & Co, and John England Irish Linen. Banbridge has staged an annual busking competition and music festival called Buskfest since 2004. Performers often travel long distances to participate. The competition closes with an evening concert composed of performances by world-famous artists. Recently, Banbridge has been twinned with Ruelle in France. It had a population of 16,653 people (6,698 households) in the 2011 Census. 3.3% of people aged 16–74 were unemployed. Thomas Ferguson & Co Ltd factory tours. The town is situated a short distance from the Brontë Homeland in Rathfriland- the church at which Patrick Brontë preached often hosts musical performances by well-known artists, e.g. Eddi Reader. Captain Francis Crozier, British naval officer and Arctic explorer, was born in Banbridge in 1796. A monument to him stands in the town square; four polar bears are carved on the base. F. E. McWilliam, surrealist sculptor. John Mitchel, Irish nationalist activist and political journalist. John Butler Yeats, artist and father of four artistic children. Among them were William Butler Yeats and Jack Butler Yeats. Robbie Dennison, former Wolverhampton Wanderers FC winger and Northern Ireland football international. Samuel Fryar, politician from the 1930s. Dermott Lennon world show jumping champion hails from Ballinaskeagh just outside Banbridge. Jonathan Tuffey, Northern Ireland No 2 goalkeeper, currently playing for Glenavon in the Irish League. Peter Alcorn, drummer for the pirate metal band Alestorm. Dame Anna Hassan, educator, school principal. Joseph M. Scriven, writer of the poem which became the hymn "What a Friend We Have in Jesus". 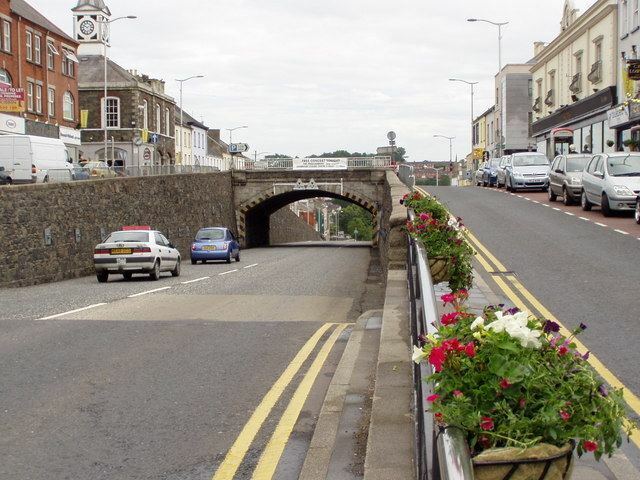 Banbridge is on the A1 main road between Belfast and Newry. The nearest railway station is Scarva on Northern Ireland Railways' Belfast–Newry railway line, about 4 miles (6.4 km) west of Banbridge. Banbridge had its own railway station from 1859 until 1956. The Banbridge, Newry, Dublin and Belfast Junction Railway opened Banbridge (BJR) railway station on 23 March 1859. In contrast with its very long name, this was a short branch line between Banbridge and Scarva. This was followed by the opening of the Banbridge, Lisburn and Belfast Junction Railway between Knockmore Junction and Banbridge on 13 July 1863, which gave Banbridge a more direct link via Lisburn with Belfast Great Victoria Street. Banbridge (BJR) railway station was closed in favour of the new Banbridge (BLBR) railway station. The Great Northern Railway took over both companies in 1877 and opened a branch line from Banbridge to Ballyroney in 1880. In 1906 the GNR opened an extension from Ballyroney to Castlewellan, where it connected with a new Belfast and County Down Railway branch line to Newcastle, County Down. In 1953 the governments of Northern Ireland and the Irish Republic jointly nationalised the GNR as the GNR Board. 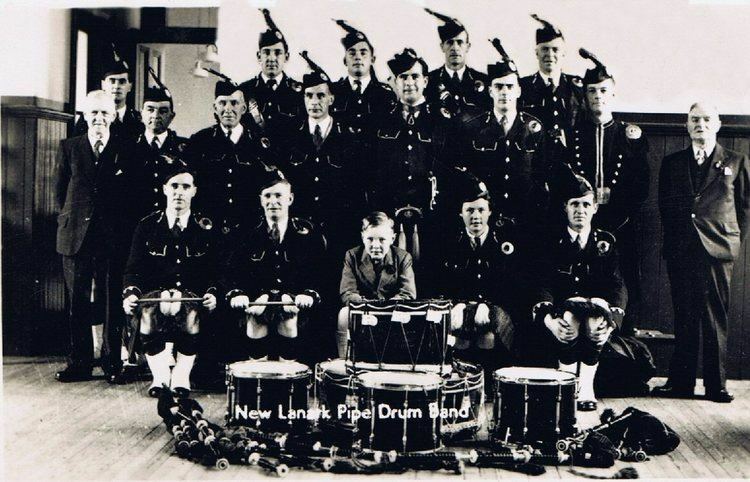 On 1 May 1955 the GNRB closed Banbridge's lines to Scarva and Castlewellan. Banbridge (BLBR) railway station closed on 29 April 1956, when the GNRB closed the line from Knockmore Junction. One of the Banbridge sporting highlights probably was the 1920 - Ireland v. Scotland International Hockey Match played at Banbridge. The Banbridge Hockey Club wins in 1985 as the second team from Ireland, after Cookstown HC in 1981, the EuroHockey Club Champions Trophy. "The Star of the County Down" is a well known song associated with Banbridge. In the film The Day After Tomorrow (2004), a fictitious Sky News broadcast shows a depiction of Banbridge in the midst of an apocalyptic blizzard. One of the Game of Thrones sets is located in Linen Mills Studio, which was converted from a failed linen mill.